Here is a creative method to assess nerve functioning in the hand and some ideas for orthotic interventions. 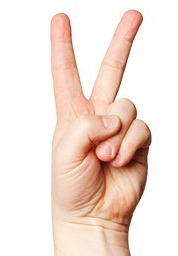 Using the universally known children’s game of “Rock, Paper, Scissors”, one can assess the nerve functioning of the three peripheral nerves of the upper extremity. Pronator Teres, Flexor Carpi Radialis, Palmaris Longus, Flexor Digitorum Superficialis, Flexor Digitorum Profundus I and II, Pronator Quadratus, Flexor Pollicis Longus, Abductor Pollicis Brevis, Flexor Pollicis Brevis (superficial head), Opponens Pollicis, Lumbricals I and II. 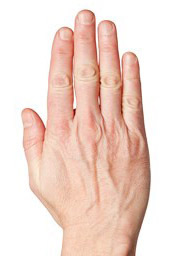 Injury to the Median Nerve can significantly affect the thenar muscles of the thumb and limit functional ability. A web spacer may be appropriate to stretch the first web space and prevent an adduction contracture due to the unopposed Adductor Pollicis muscle. 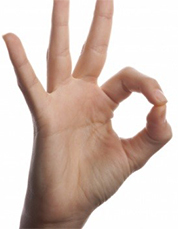 And a short opponens orthosis can be extremely beneficial for assisting with thumb function. Supinator, Extensor Carpi Radilais Longus and Brevis, Extensor Carpi Ulnaris, Extesor Digitorum Communis, Extensor Indicis Proprius, Extensor Digiti Minimi, Extensor Pollicis Longus and Brevis, Abductor Pollicis Longus. 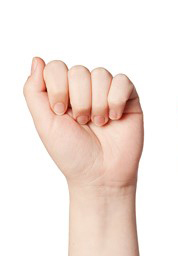 The patient is limited by the inability to position the wrist and fingers in extension. 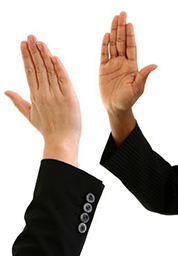 Any orthosis that supports the wrist and fingers in extension can be beneficial. The orthosis should allow for full flexion of the fingers but dynamically pull the fingers and wrist into extension to avoid overstretching of the denervated muscles. 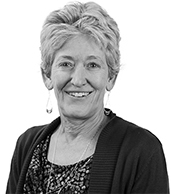 Assess each client to determine if the wrist and fingers or just the wrist needs orthotic support. 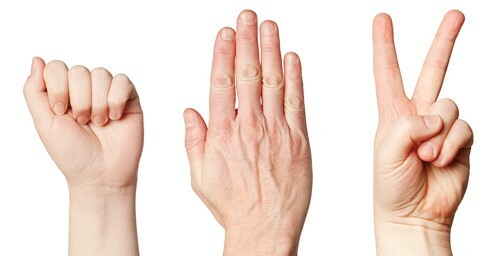 4th and 5th fingers MCP and PIP joints are flexed; 2nd and 3rd digits are extended and abducted away from each other; Thumb CMC is adducted and the IP is flexed. Flexor Carpi Ulnaris, Flexor Digitorum Profundus to III and IV, Abductor Digiti Minimi, Opponens Digiti Minimi, Flexor Digiti Minimi, Lumbricals III and IV, Palmar and Dorsal Interossei, Flexor Pollicis Brevis (deep head), Adductor Pollicis. If Ulnar Nerve damage is evident, an anti-ulnar claw orthosis may be appropriate to keep the MCP joints in flexion and help prevent overstretching of the intrinsic muscles. This also allows the extrinsic extensor force to be transmitted distally to extend the IP joints. Flexor Digitorum Profundus I, Flexor Pollicis Longus, Pronator Quadratus and sometimes, Flexor Digitorum Profundus II. 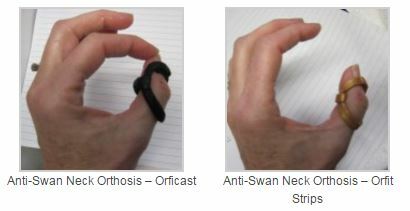 Primary loss of the thumb tip for pinch can be helped by an orthosis for the thumb IP joint that keeps the joint in flexion for pinch activities. Full extension of the wrist and thumb and finger MCP and IP joints. Extensor Carpi Ulnaris, Extensor Carpi Radialis Brevis, Extensor Digitorum Communis, Extensor Digiti Minimi, Extensor Indicis Proprius, Extensor Pollicis Longus and Brevis, Abductor Pollicis Longus. 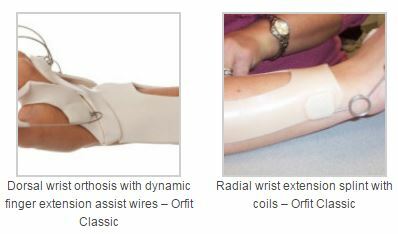 Orthoses described earlier for Radial Nerve injury can be used. 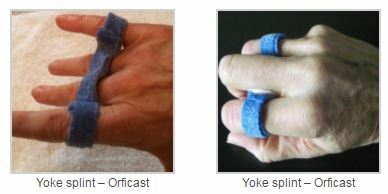 With a partial lesion of the Posterior Interosseous Nerve, a yoke orthosis may be helpful at assisting with the individual finger’s lack of extension by connecting it to an adjacent finger. Davidson, A. W. (2003). Rock–paper–scissors. Injury, 34(1), 61-63.